What is one thing every business wants when it comes to a sales strategy? They want it to work! There are a million ways to do a million things, some are effective whilst others have you spinning around without acheiving anything. A sales system should guide your site visitor along a pre-defined pathway that takes them on a trust building journey. This not only helps you make sales, but also creates a long term customer that will be more inclined to be a repeat buyer. This is done in a step-by-step fasion and has been shown to actually work effectively. When people are looking for specific things on the internet it is usually to fill a need or a want. But they do not just choose the first thing they see that “may” address the need, they compare lots of different providers and make an informed decision. If you can provide clear, concise, helpful and informative information about your product, that helps people see not only that it can fulfil their need, but also how it will do it, then you are helping to build trust which will help with the decision process. People will read your content and will then be ready to follow the next step, which you set out when you made sure to…. It is one thing to provide quality value, but without a call to action you will not have an effective promotional item. It may surprise you to know this, but most people need to be shown the next step when they are looking to go further with you. It is not enough to just hope that when a reader has finished your article they will stuble upon your sales funnel, you need to provide a clear pathway for them to take the next step, which you created when you chose to…. Whether your subscriber becomes a customer intitally from your email series or not doesn’t mean that is the end of it. You can also use your emails to inform about similar items, upcoming promotions, competitions and updated products. You do this in a conversational way rather than a hard sell. Sometimes, it takes quite a while for someone to actually buy something from you so giving them some other options can make the difference. Implementing this sytem is not hard to do, once you have an email series set up it does most of the work for you allowing you to concentrate on getting people to subscibe through your value adding content. I suggest using a content schedule to provide regular value on your website and share it through social media channels and other areas your prospective customer may be frequenting. 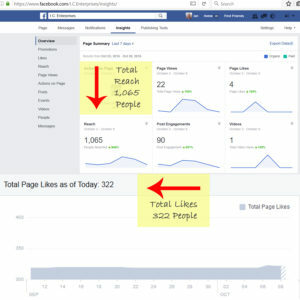 You can also use paid services such as Facebook and Google ads to direct people to your content or directly to your opt-in. If you want more information on how to plan and create an online sales strategy that works, contact us today for an obligation free quote. This article was very helpful. I sell Avon and will be sure to add a link for customers to subscribe so that I can follow up. I was wondering if I can use our automated email system that notifies customers of new products. Or do you suggest a more personal approach? Sending them articles from my blog. Good points. Was saying, yes, I’m doing that up until #3. My email list is dead’ and I can’t come up with a good optin incentive. Therefore #4 & #5 isn’t happening either. Optin is on my mind alot and eventually will come. I have all of these but I am careful in how I use my email list. I change my opt-in box frequently to keep it fresh. And, since I do not like to get a ton of worthless email, I only send a newsletter with free tips or a free video once a month or every six weeks. I’m kind of a rebel that way. I just don’t believe in inundating people with emails. So easy to just hit delete – I would rather deliver a ton of value less frequently and form relationships in between by visiting their social sites and engaging. Excellent article, Ian. The point that that really stands out is #1, Add Value. These two words should be written down on a piece of paper and posted above computers. When we add value by solving others problems, doors will open. 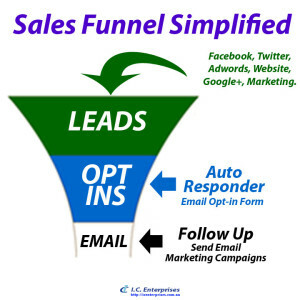 Your sales funnel is very comprehensive right down to the follow up. Thank you for sharing this! This is very useful information for any business trying to lead a online business and increase a sale. By the side of a high stage, building a winning checkout comes along to a clear and easy user experience, with maximizing buyer self-assurance. Google changes the algorithms so you have to go with time.